Games aren’t just for fun, they’re for learning, too! Each KiddyKeys game is student tested and teacher approved. 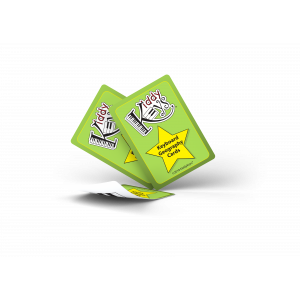 Grab a deck of cards and put your students’ knowledge to the test! 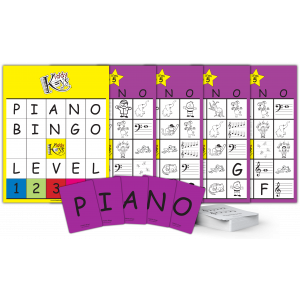 Pull out PIANO Bingo for an easy review or soft introduction to concepts. Need to shake out some wiggles? You’ll want to grab the Train Game. 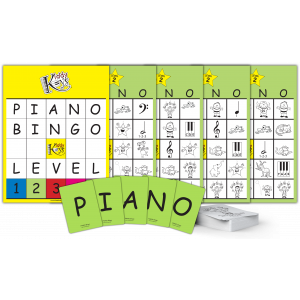 All these games are fitted for groups, private, and partner lessons with young and old students alike.